Re-post a summary of an article (or an excerpt of up to 100 words) with a link back to the original post. Re-post images that are owned by Mackenzie Makes, but only with attribution to Mackenzie Makes and a link back to the original post. Share images on social media with a link back to the original post. Re-posting our content in its entirety. Re-posting our images without attribution and link. Removal of our watermark, cropping, or editing of our images. Translation of our writings into another language. We welcome comments on our blog posts. Please keep your comments clean and related to the content. We reserve the right to edit or remove any comment. Feel free to ask questions, disagree, provide alternate methods, or comment on the posts as long as your comment’s content is not offensive, defamatory, abusive, or otherwise mean and inappropriate. Also, comments deemed to be spam or questionable spam will be removed. You retain ownership of comments you leave on our site; you simply grant us a license to post your comments. This license is irrevocable, non-exclusive, worldwide, and royalty-free. You grant us the right to store, transmit, display, use, publish, reproduce, and distribute your comments in any format, including but not limited to a blog, in a book, in a presentation, in a class or in a video. While using our Site, we may collect certain personal identification information from you in a variety of ways, including, but not limited to, when you register on our site, place an order, subscribe to a newsletter, respond to a survey, fill out a form, or enter information on our site. You may be asked, as appropriate, to enter your name, email address, mailing address, phone number, credit card information or other details to help you with your experience. You are, however, able to visit our site anonymously. The collection of personal identification information is only done when you voluntarily submit such information to us. You can always refuse to supply personal identification information; however, it may prevent you from engaging in certain aspects of the Site. We may collect non-personal information about our users whenever they interact with our Site. Non-personal information may include information such as your computer’s Internet Protocol (“IP”) address, browser type, browser version, the pages of our Site that you visit, the time and date of your visit, and the time spent on those pages and other statistics. Such non-personal information is not connected to any personal information collected from you. To personalize user’s experience. This allows us to deliver the type of content and product offerings in which our users are most interested. To allow us to better service you. This helps us when responding to your customer service requests. To run a promotion, contest, survey or other site feature. We may send users information they agreed to receive about topics we think will be of interest to them. To quickly process your transactions. We may use the information you provide about yourself when placing an order only to provide service to that order. We do not share this information with outside parties except to the extent necessary to provide the service. To send periodic emails. Such emails may be regarding your order or other products and services. It may also include emails about company news, updates, related product or service information, etc. Users are able to unsubscribe from receiving future emails at any time by following the instructions at the bottom of each email. To follow up with you. This allows us to communicate back with our users after correspondence (such as live chat, email or phone inquiries). The security of your personal information is important to us. Unfortunately, no method of data transmission over the Internet, or method of electronic storage is 100% secure. While we strive to use commercially acceptable means to protect your personal information, we cannot guarantee its absolute security. All transactions made directly on our website are processed through PayPal, and are not stored or processed on our servers. More information about PayPal is available at paypal.com. You can choose to have your computer warn you each time a cookie is being sent, or you can choose to turn off all cookies. You do this through your browser (such as Internet Explorer, Chrome, etc.) settings. Each browser is a little different, so look at your browser’s Help menu to learn the correct way to modify your cookies. Please note: if you disable cookies, it will turn off some of the features that make your site experience more efficient and some of our services will not function properly. We do not sell, trade, or otherwise transfer to outside parties your personally identifiable information. This does not include website hosting partners and other parties who assist us in operating our website, conducting our business, or serving our users, such as sending out newsletters, so long as those parties agree to keep this information confidential. We may also release information when its release is appropriate to comply with the law, enforce our site policies, or protect ours or others’ rights, property, or safety. Our Site does not specifically market to anyone under the age of 18. By using this Site, you signify your acceptance of this policy and terms of service. If you do not consent to the collection, use, or disclosure of your personal information as discussed in this policy, please do not provide any personal information to Mackenzie Makes. If you have already provided personal information to Mackenzie Makes and no longer consent to its use or disclosure as discussed in this policy, please contact us as questions@mackenziemakes.com. 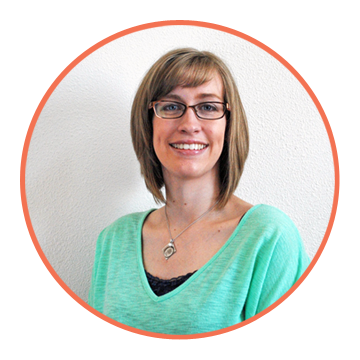 I'm a lover of all things crafty, and an Independent Stampin' Up! Demonstrator. 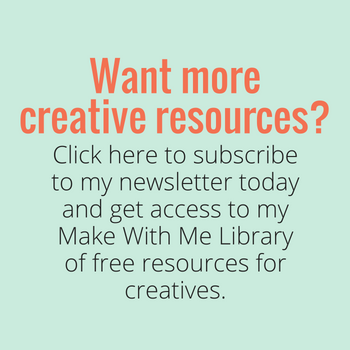 I'm here to inspire you to make stuff, so let's get crafty! Learn more here. 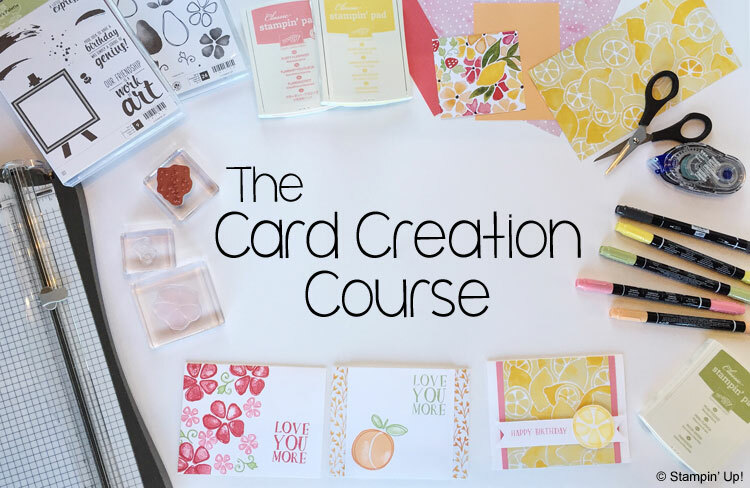 Learn the basics of getting started with card making in this FREE online mini course. Click the photo to learn more and to sign up.